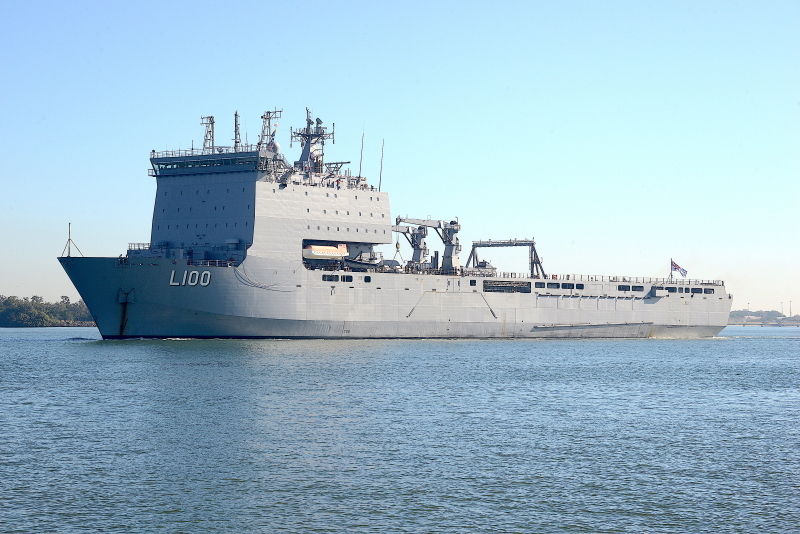 Royal Australian Navy ex-British Largs Bay class dock landing ship HMAS CHOULES L100 at Brisbane 30 May 2018. Launched: 18 Jul 2003 In service: 19 Jan 2004 with RN ex RFA LARGS BAY L3006. Transferred to Australia in 2011 and commissioned 13 Dec 2011.